Brandeis University Press, 9781611688863, 232pp. Following the Balfour Declaration and the British conquest of Palestine (1917–1918), the small Jewish community that lived there wanted to establish an elected assembly as its representative body. The issue that hindered this aim was whether women would be part of it. A group of feminist Zionist women from all over the country created a political party that participated in the elections, even before women’s suffrage was enacted. This unique phenomenon in Mandatory Palestine resulted in the declaration of women’s equal rights in all aspects of life by the newly founded Assembly of Representatives. Margalit Shilo examines the story of these activists to elaborate on a wide range of issues, including the Zionist roots of feminism and nationalism; the ultra-Orthodox Jewish sector’s negation of women’s equality; how traditional Jewish concepts of women fashioned rabbinical attitudes on the question of women’s suffrage; and how the fight for women’s suffrage spread throughout the country. 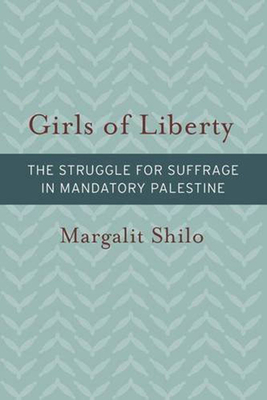 Using current gender theories, Shilo compares the Zionist suffrage struggle to contemporaneous struggles across the globe, and connects this nearly forgotten episode, absent from Israeli historiography, with the present situation of Israeli women. This rich analysis of women’s right to vote within this specific setting will appeal to scholars and students of Israel studies, and to feminist and social historians interested in how contexts change the ways in which activism is perceived and occurs. MARGALIT SHILO is a professor in the Land of Israel Studies Department at Bar-Ilan University and the author of Princess or Prisoner? Jewish Women in Jerusalem, 1840–1914.